CRIMINAL MINDS: JOE MANTEGNA'S BIG DAY. Criminal Minds: Another link for a story on Mantegna. CRIMINAL MINDS: SHEMAR MOORE....NAKED OR NOT! Criminal Minds: You don't need to see naked pictures of Shemar Moore, Derek Morgan on Criminal Minds, to know the man is drop dead gorgeous. 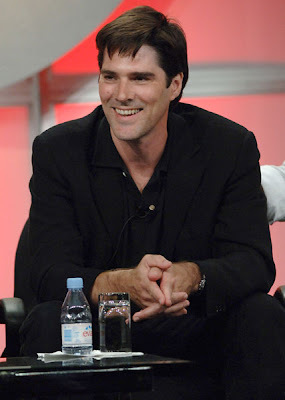 Criminal Minds: Thomas Gibson has done a wonderful job for the past two seasons as Aaron Hotchner on Criminal Minds. I was sorry he wasn't anywhere in the Criminal Minds season two dvd extras and that there are no official Season 3 promo pics for him. 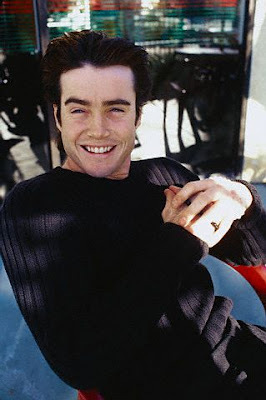 He is certainly one of my favorite actors! Criminal Minds: Maureen Ryan has written a wonderful article on Joe Mantegna joining the cast of Criminal Minds. 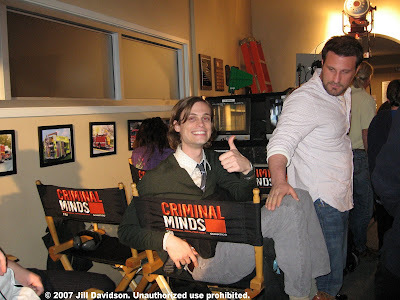 CRIMINAL MINDS: NIELSEN RATINGS FOR THE WEEK ENDING OCTOBER 28, 2007. Criminal Minds: Nielsen Ratings for the week ending October 28, 2007. Criminal Minds fell from the Top Ten but eleven isn't bad. Criminal Minds continues to do very well! EDWARD ALLEN BERNERO'S ORIGINAL EXCLUSIVE ANNOUNCEMENT ANNOUNCING JOE MATNEGNA JOINING CRIMINAL MINDS. 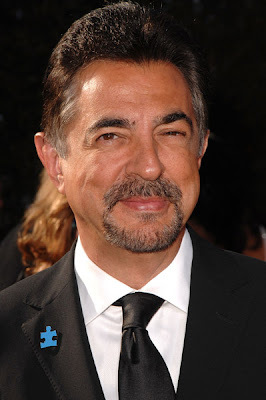 Criminal Minds: On August 10, 2007 Edward Allen Bernero, Executive Producer of Criminal Minds, announced on this blog that Joe Mantegna was joining the cast of Criminal Minds. His announcement was posted on this blog several days before CBS made their official announcement. Today we finally get to see Mr. Mantegna on Criminal Minds. CRIMINAL MINDS: HOPE YOU LIKE REPEATS! Criminal Minds: It would seem that the writers' strike may actually happen. I hope that you like Criminal Minds repeats. At least they have several episodes already banked. 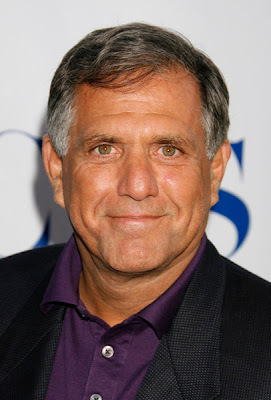 "CBS is not going to go blank," CBS Corp. President and CEO Leslie Moonves has said." CRIMINAL MINDS: SEASON THREE RATINGS NEWS. 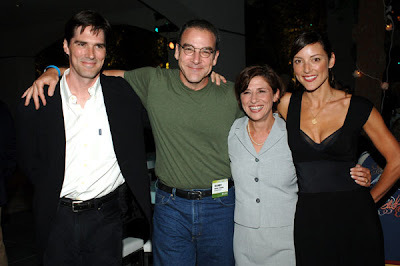 CRIMINAL MINDS:ANDREW KAVOVIT GUEST STARS IN "ABOUT FACE"
CRIMINAL MINDS: LOLA GLAUDINI GUEST STARRED ON LOCI. CRIMINAL MINDS: NOT THE BEST NEWS. Criminal Minds: Networks, actors, etc. make money from syndication deals and this is not good news for the Criminal Minds' pocketbooks. CRIMINAL MINDS: DEREK MORGAN AND SPENCER REID CONTEST SPONSORED BY DOMINO RECORDING CO.
Criminal Minds: Peter Berard of Domino Recording Company has sent us some wonderful The Cinematic Orchestra "Ma Fleur" CDS to use as Criminal Mind contest prizes in appreciation of Criminal Minds using their song "To Build A Home" in "Children of the Dark" last week. The song was also used recently in the season premiere of Grey's Anatomy. I listened to one and was blown away with how wonderful their music is. Criminal Minds uses the best music in their episodes. Here is the contest and there will be multiple winners: List 10 songs with the artist's name that you think would be on Derek Morgan or Spencer Reid's Ipods. You can only enter the contest once. The contest ends on Wednesday at 12:01 am. Two winners will be pulled by a random judge and the winners announced. 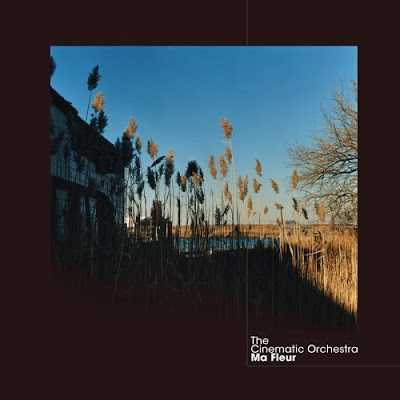 Here is what amazon.com has to say about this CD: TCO return with their first full-length since 2002's "Everyday". "Ma Fleur" was written as the soundtrack to a specially commissioned screenplay for an imagined film, which may or may not yet be made. Dealing with themes of loss and love, "Ma Fleur" is fertile ground for Jason Swinscoe's brand of raw-emotion music making. If the mood is melancholy, Swinscoe and company manage to make it an ultimately uplifting experience, perhaps in the end more about the love you find than the love you lose. Deluxe packaging: CD digipak with six photo postcard inserts and double LP 150 gram gatefold vinyl with full-color printed sleeves. CRIMINAL MINDS: JACK HOTCHNER AGED & A MARRIAGE SNAPPED. Criminal Minds: We met Jack Hotchner in "The Fox", (Criminal Minds Season One Episode 7). 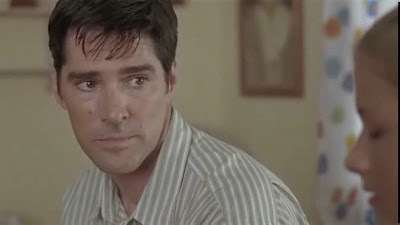 He was a baby and the Hotchner marriage was intact. Now we have started Criminal Minds season three and Jack has aged and the Hotchner marriage is in serious trouble. It will be interesting to see what the writers come up with! Criminal Minds: The Criminal Minds Conversation Yahoo group and the Criminal Minds Fanatic website will be holding a "Here Comes Joe Mantegna" chat on Sunday, October 28th at 5pm est. Please email Stacy if you need the password for the Criminal Minds Fanatic chat room. CRIMINAL MINDS SCREENCAPS FOR "SEVEN SECONDS". Criminal Minds: Here are the overnight Nielsen ratings for Criminal Minds "Seven Seconds". This season's ratings are great! CRIMINAL MINDS EPISODE DISCUSSION & SPOILERS THREAD FOR "SEVEN SECONDS". Criminal Minds Spoiler and Discussion Thread for "Seven Seconds" - When a child is abducted at a local mall, the BAU locks down the area and profiles the people at the scene in order to retrieve the child before it is too late. Criminal Minds starring Kirsten Vangsness, Paget Brewster, A.J. 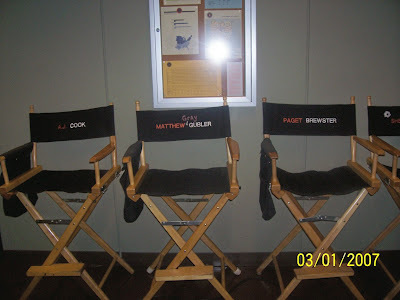 Cook, Thomas Gibson, Matthew Gray Gubler and Shemar Moore. Episode info courtesy of cbs.com. CRIMINAL MINDS: TURNS OUT THERE IS NO VOID. 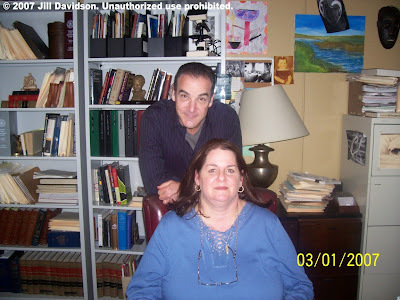 Criminal Minds: For many Criminal Minds fans there was a fear that the loss of the character of Jason Gideon, played by Mandy Patinkin, would leave a hole in the show and diminish the quality we had become used to enjoying. That has proven not to be the case for me. Mandy Patinkin's departure from Criminal Minds over the summer turned out to be nothing more than a fandom being dragged through hell for no reason. The six remaining actors have not only picked up the slack his void left but they have reached new heights in excellence. I stand in grateful awe of the wonderful work they are doing. Criminal Minds has never been better. Kudos to Kirsten Vangsness, Paget Brewster, A.J. Cook, Shemar Moore, Matthew Gray Gubler and Thomas Gibson. The writers obviously were going to have a hard time rewriting so many episodes but I never doubted their ability to shine. 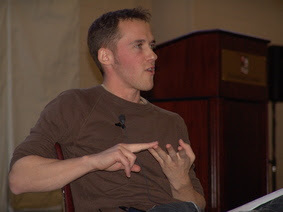 They have always proven that when it comes down to the art of writing scripts that will entertain and captivate that they are the best in their business. We expect nothing less that magic from them and they never disappoint (well of course there was that one episode that the entire fandom disliked but I believe we all agreed to pretend it never happened. lol)and they always remind me of why I watch the show. It's all about the writing. Kudos galore to the entire writing staff of Criminal Minds. The show would be nothing if not for you. CRIMINAL MINDS QUOTE & SONG INFO FOR "SEVEN SECONDS"
CRIMINAL MINDS GUEST STARS: THE XUEREB BROTHERS. Criminal Minds: Emmanuel Xuereb and Salvator Xuereb guest star tonight on Criminal Minds "Seven Seconds". The talented brothers have very impressive resumes. 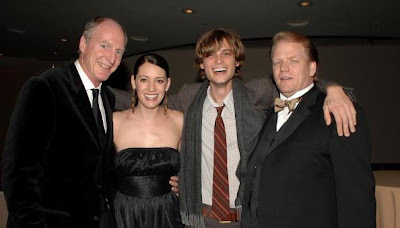 I look forward to watching them tonight on Criminal Minds. 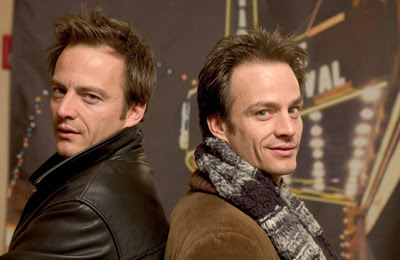 CRIMINAL MINDS GUEST STAR NATHAN PEARSON. Criminal Minds: Nathan Pearson guests stars in Criminal Minds episode "Seven Seconds". The talent of these young actors is amazing to me. Look for Nathan in tonight's episode of Criminal Minds. CRIMINAL MINDS: THE VOICE OF "NEMO" GUEST STARS. 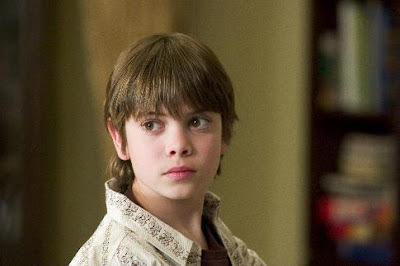 Criminal Minds: Alexander Gould, the voice of Nemo in "Finding Nemo", guest stars in tonight's episode of Criminal Minds "Seven Seconds". What a wonderful talent this young man has and what an incredible resume for such a young actor! Criminal Minds: This has been a great Nielsen ratings season so far for Criminal Minds. Top Ten Again for the week ending October 21, 2007. 1. "CSI: Crime Scene Investigation,"
2. "Dancing with the Stars"
7. "Dancing with the Stars"
13. "Extreme Makeover: Home Edition,"
14. "Two And a Half Men,"
19. "Law & Order: Special Victims Unit,"
Criminal Minds: Thomas Gibson, Aaron Hotchner on Criminal Minds, hasn't been making the PR circuit yet this season. He is a wonderful actor and I love when he gives interviews. Lets hope we get some soon. Don't forget to watch the show tomorrow! 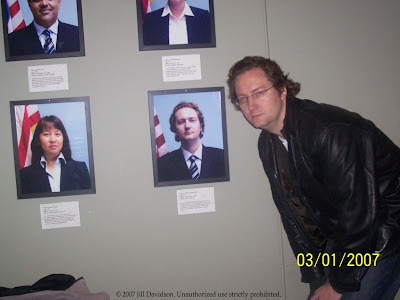 CRIMINAL MINDS ON LOCATION LINK. 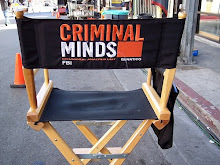 Criminal Minds: Here is a great link to some Criminal Minds pics of them shooting on location. Please remember that the owner has labeled them a public for viewing but copyrighted them so you can't copy them and we should all respect that. CRIMINAL MINDS HAS AWESOME GUEST STARS! 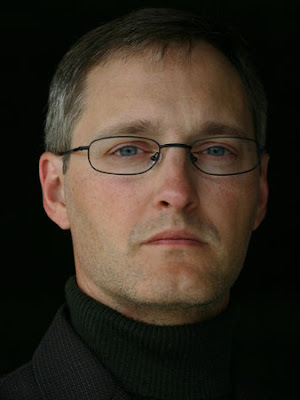 Criminal Minds: Talented actor Mark Doerr guest starred last week on Criminal Minds. "Children of the Dark" was a top ten Nielsen episode for Criminal Minds. 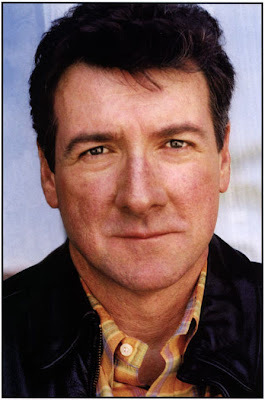 Mr. Doerr did a wonderful job in the episode. Scott David and April Webster do a wonderful job signing such wonderfully talented actors and actresses to guest on the show. Criminal Minds airs on Wednesdays at 9pm est. Starring Thomas Gibson, Shemar Moore, Matthew Gray Gubler, Kirsten Vangsness, Paget Brewster and A.J. Cook. Tune in! CRIMINAL MINDS EPISODE INFO FOR "SEVEN SECONDS". Criminal Minds: The winner in the Criminal Minds "Children of the Dark" contest is Rachael Cohn. Please email me your address. This Criminal Minds contest seemed to be lots of fun for everyone according to the emails that I received so lets do it again. Same contest with the same rules and prize for Criminal Minds "Seven Seconds". Criminal Minds: Thank you to Lori, co-moderator of the Criminal Minds Conversation Yahoo group, for finding this YouTube "Franklin Shepard Inc - Raúl Esparza" which Mandy referred to as being as close to an explanation to why he left Criminal Minds. 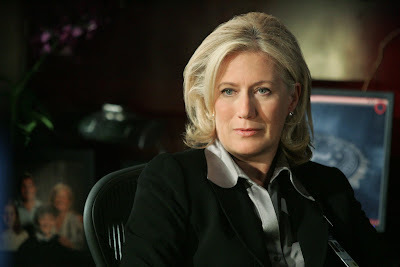 CRIMINAL MINDS: MANDY COMES AS CLOSE TO A STATEMENT AS YOU CAN GET! 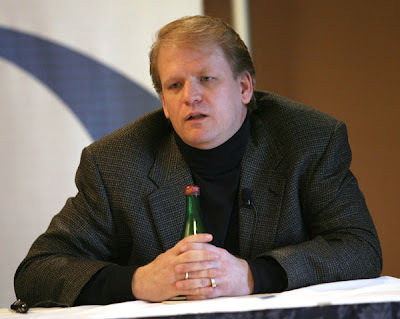 "Inquirer: What happened with your most recent TV show, Criminal Minds? According to some news reports, you just never reported for work. M.P. : I can only say what's in the press release: creative differences. Inquirer: But I see you're singing "Franklin Shepherd Inc.," which skewers the West Coast show-biz commerce mentality. M.P. : That's my way of commenting. I can't think of a better way to say what I have to say right now." CRIMINAL MINDS: ANOTHER BLAST FROM THE PAST PHOTO. 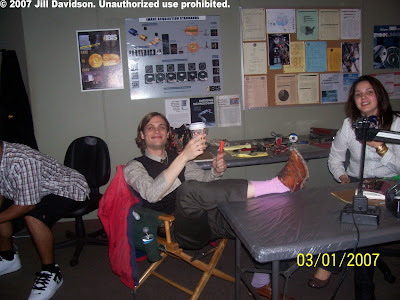 CRIMINAL MINDS: MATTHEW GRAY GUBLER IS OUR CHIPMUNK. 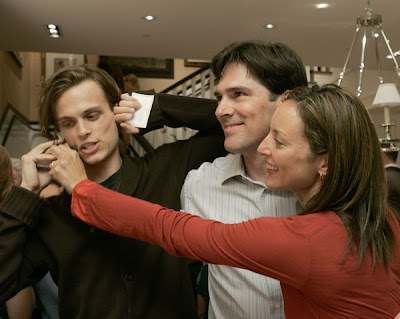 Criminal Minds: Matthew Gray Gubler, Dr. Spencer Reid on Criminal Minds, in "Alvin and the Chipmucks"....I can so see and hear it. "On December 14th, ALVIN AND THE CHIPMUNKS hits theaters everywhere as a live action/CGI motion picture event with a contemporary comic sensibility. 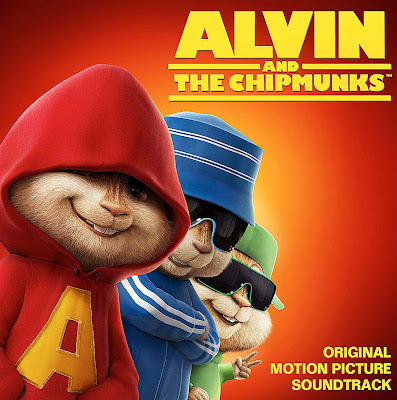 Songwriter Dave Seville transforms singing chipmunks Alvin, Simon and Theodore into pop sensations - while the out-of-control trio lays waste to Dave's home, wreaks havoc with his career, and turns Dave's once-orderly life upside-down. The film stars Jason Lee, David Cross, Cameron Richardson, Justin Long, Matthew Gray Gubler and Jesse McCartney." 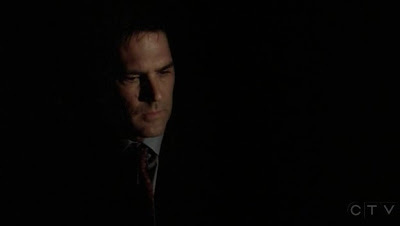 CRIMINAL MINDS: THOMAS GIBSON & NICHOLAS BRENDON HAVE MET BEFORE. LOL. Criminal Minds: Nicholas Brendon will guest star in the Criminal Minds episode entitled "Penelope" which is scheduled to air Wednesday, Nov. 21. This is not the first time that Nicolas and Thomas have worked together. The first time was in "Psycho Beach Party" and Stacy was kind enough to send me a cap of the two of them in a scene together. I look forward to watching Nicholas's performance and I am reasonably sure that both actors will keep their clothes on this time around! CRIMINAL MINDS: HOLLYWOOD UNION AUTHORIZED TO STRIKE! Criminal Minds: I hope the writers for Criminal Minds have stocked us up on scripts because their union just authorized a strike according to AP. Actually production will stop because the other unions will honor the strike. I hope everyone likes Criminal Minds repeats! LOS ANGELES - Members of Hollywood's film and television writers union have overwhelmingly voted to authorize a strike anytime after their contract expires at the end of the month. 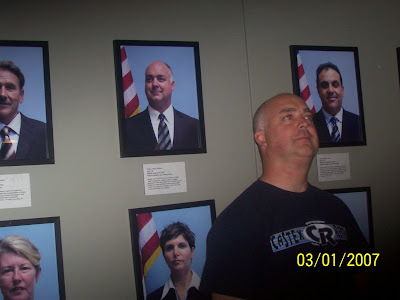 Criminal Minds: I think I am going to make this picture weekend on the Criminal Minds Fanatic Blog. There are so many wonderful pictures of our favorite stars that we haven’t seen in awhile. Criminal Minds rocks. CRIMINAL MINDS: SEASON THREE....HOW DO YOU LIKE IT SO FAR? Criminal Minds: Season Three of Criminal Minds...what do you think of it so far? Are you happy with what you have seen so far? Do you like the new Criminal Minds format? CRIMINAL MINDS: MEET DAVID ROSSI. CRIMINAL MINDS: DAVID ROSSI YOUTUBE. CRIMINAL MINDS: THE OVERNIGHT NUMBERS LOOK GREAT. CRIMINAL MINDS SONG FROM "CHILDREN OF THE DARK"
CRIMINAL MINDS' GUEST STAR FRANCIS CAPRA. CRIMINAL MINDS: SHEMAR MOORE IN EBONY MAGAZINE. CRIMINAL MINDS SCORES IN THE NIELSEN RATINGS! 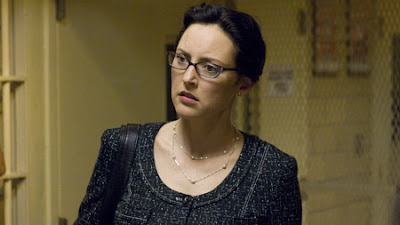 CRIMINAL MINDS: PAGET IS INTERRUPTED. CRIMINAL MINDS MAKES THE TOP TEN IN CANADA. CRIMINAL MINDS: GETTING READY FOR JOE MANTEGNA. 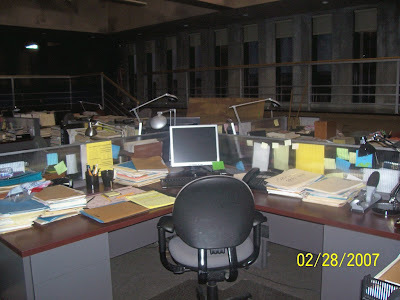 CRIMINAL MINDS EPISODE "WHO ATE THE GREEN M&Ms?" CRIMINAL MINDS: FROM WALLPAPER TO SUITS. CRIMINAL MINDS: SHEMAR MOORE BIKES FOR LOVE. CRIMINAL MINDS SCREENCAPS FOR "SCARED TO DEATH". CRIMINAL MINDS TORTURES THE RIGHT WAY. CRIMINAL MINDS RATINGS: TOP TEN!! CRIMINAL MINDS: HAVE A GREAT WEEK EVERYONE! 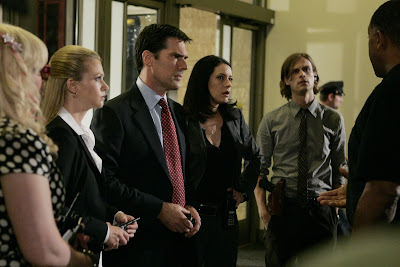 CRIMINAL MINDS: CHANNEL 5 IN TH UK. CRIMINAL MINDS: OVERNIGHT RATINGS LINK. CRIMINAL MINDS: TONIGHT WE SAY GOODBYE TO GIDEON. CRIMINAL MINDS: FRANKIE MUNIZ IS SWEEPING IN. EDWARD ALLEN BERNERO: THANKS FOR THE COOKIES!